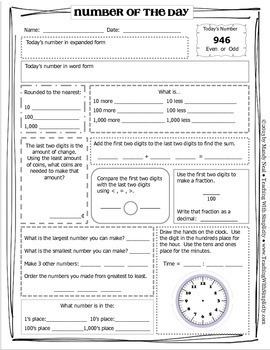 Number of the Day is aligned to the Common Core standards and includes 4 sets of options. They are designed to increase in difficulty. Set one is less complex. 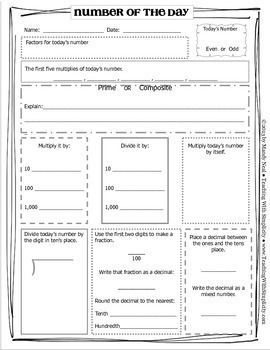 Students will be working with place value up to the hundreds. 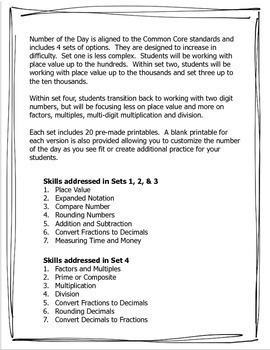 Within set two, students will be working with place value up to the thousands and set three up to the ten thousands. Within set four, students transition back to working with two digit numbers, but will be focusing less on place value and more on factors, multiples, multi-digit multiplication and division. Each set includes 20 pre-made printables. 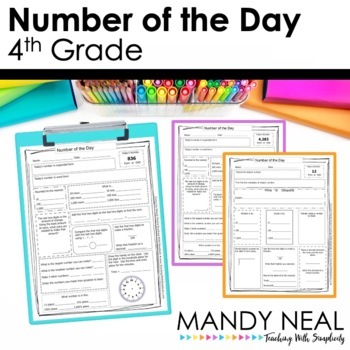 A blank printable for each version is also provided allowing you to customize the number of the day as you see fit or create additional practice for your students.